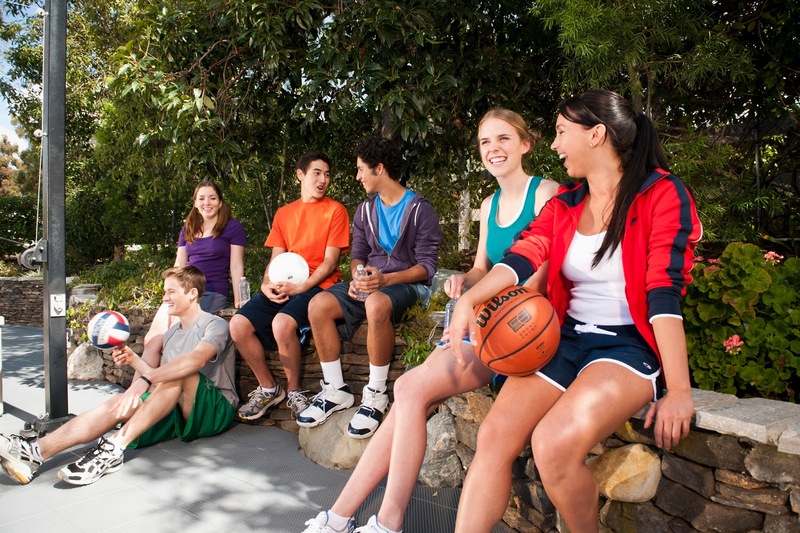 Sport Court of Southern California: Mix Up Your Basketball Game! Mix Up Your Basketball Game! Turn your entire neighborhood into a block party with these 5 awesome alternative basketball games! And a final lay up. The first player to "go around the world" and make all the shots wins the game. Start things off by taking a shot from anywhere on the court. The next player tries to make the same shot. If Player 2 makes the basket, then the next player must shoot from there. If Player 2 misses, they pick up an 'H', and the next player gets to take their shot from anywhere on the court. The goal is to contest your opponent with the most difficult selection of shots, forcing them to pick up letters with each miss. Players that spell "HORSE" lose the game. Without double-dribbling or traveling, players must tag other players. Once a player has been 'tagged", they are out of the game. All players can have a basketball in the game or just the players who are "tagger". Play this game in a certain area in the court (for example: half-court) and the final remaining player is the winner. If you enjoy musical chairs you will enjoy this game. Similar to musical chairs, but with basketballs. The balls are placed into a circle while players walk around it with music playing. When the music stops, all players must grab a ball and take a shot. When a player makes a successful swish, they sit. The last player standing is out and the game continues until there is one player left. In 60 seconds, kids are challenge to score as many buzzer-beaters as they can. In the paint baskets are worth 1 point, outside the foul line are worth 2 points, and 3 pointers are of course worth 3 points. Learn to shoot like Stephen Curry in no time playing this game. It's Time for the US Open! Pets Give Sport Court Two Paws Up!